Editor's note: Whether it’s taking a meeting over Hangouts from the airport before escaping to a much-deserved vacation or sending work e-mails from an air-conditioned neighborhood cafe, technology should help you get your work done faster so you can enjoy the summer months. To celebrate the season of sun, we’re sharing stories from customers who know all about the importance of technology when fostering a culture of mobility and flexibility. 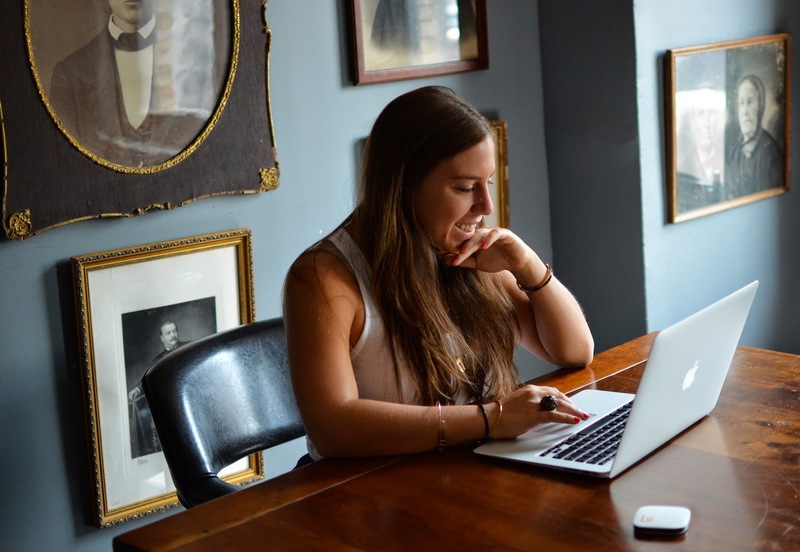 Today’s guest blogger is Amanda Bensol, Vice President of Marketing and Sales at Karma, a New York-based startup building a sleek, portable pay-what-you-use WiFi hotspot. Karma empowers people to work wherever they want with an elegantly designed personal portable hotspot. Our team spent years paying exorbitant hotspot data costs while traveling around the world and knew there had to be a better and cheaper way to get online at the many airports, hotels, cafes and trains that didn’t have public Internet access. We set out to solve the problem ourselves with an affordable mobile WiFi hotspot that allows people to work wherever, whenever they want. Karma isn’t just a hotspot — it’s a movement that lets people take back the power to use their data and technology how they want. 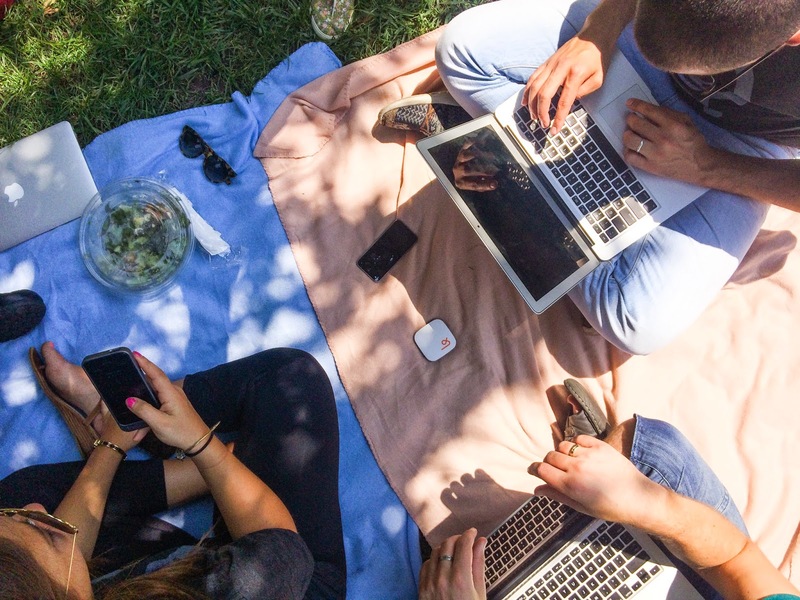 In order to introduce new ways of working, we hold monthly Karma Outdoors gatherings and invite people to come join us in working outside this summer. Like most people, we enjoy being able to work on our own terms. That’s why Google Apps has been part of our journey from the start. It’s not a stretch to say that Google Hangouts practically built Karma. After the company was started, visa issues caused the founders to return to Amsterdam, leaving me essentially in charge of U.S. operations. Hangouts was a lifeline that allowed us to build and grow the company, even though we were separated by an ocean. In addition to Hangouts, Google Docs is essential to our business and our preferred way to innovate because it offers a better creative workflow than any other product. Our founders in Amsterdam exchange a lot of ideas with the company’s designers in New York as we prepare for our next-generation release of sleeker Karma models. Google Docs makes it possible for us to easily keep track of our design ideas. Docs is the place we quickly paste media to preserve of our thoughts on the fly. We refine ideas together by exchanging comments within our documents. I write down specific product specs in Docs, knowing our concepts are logged and stored for our design team to access from anywhere. We’re only at the beginning of our journey to liberate people in their quest for mobile connectivity, and we’ve got a lot more in store for our products and company. We’re confident in our ability to achieve our goals and truly make an impact using Google Apps, which allows for mobility and flexibility in communications and productivity — values that align with our mission, too. Between Karma and Google Apps, together we’ll get people out from the confinement of cubicles and into the sun.